As your boiler gets older it becomes inefficient and often unreliable leading to more breakdowns and increased energy use. That means the cost of using your boiler will increase over time until there is a point where it becomes economically unviable to operate. Maybe it’s time to think about boiler replacement sooner rather than later? Boiler replacement can save you money on your heating bills, but there are other important benefits too, take for example improved comfort in your home. Many older boilers struggle to meet the demands of modern households. This is especially true during the winter months when your heating system is pushed to its limit. 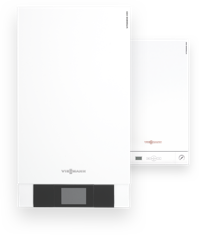 When you replace your boiler with a modern system you’ll be able to meet your demands with ease, giving comfort and efficiency savings of up to 90% (older boilers achieve around 50% efficiency). How often should a boiler be replaced? New boilers are safer than older central heating systems. One of the biggest threats with older boilers is if they leak carbon monoxide, a gas that is almost impossible to detect without a test strip. Advancements in technology mean that more safety features are added in to prevent issues such as carbon monoxide leaks. It’s also easier to fault find should anything go wrong with your boiler replacement. Buying a boiler is one of those jobs most people dislike because for most it’s not a regular purchase item. When you go looking for a car you have a clear idea of what you’re looking for, even if that’s just the colour or make. Boiler replacement on the other hand is more daunting. You’ll need to answer a number of questions such as what type of boiler do I need, which are the most reliable brands and what is the price to replace a boiler? We’ll cover all those topics now. You have a number of options available; the first is to use a boiler replacement company. These are local experts who are able to provide you with a range of different boiler replacement options based on your existing boiler and central heating setup. Get them to go through the different boiler options from budget to premium. Remember, there is often a reason that low cost boilers are cheap. When you buy a premium brand you’re buying a long-term investment, something that will last. That means they’ll perform time and time again without affecting their efficiency, they’ll last longer and in the event of a breakdown many years from now, parts will still be available. Also don’t forget to enquire with at least three boiler replacement companies, because the prices between each of those quotes may vary widely. Alternatively you could contact your energy supplier and see if they offer a complete service. Many providers including British Gas and E.ON offer a total service package for replacement boilers. They will be able to advise you which kind of boiler is suitable for your home and also they will be able to help you calculate the cost savings. The third option you can take when looking for a boiler replacement is to buy the boiler yourself from a supplier such as an online retailer. This is a cost effective way of saving money on your replacement boiler purchase. In many instances all that is required is to fill out an online quote form like this one. If you take this approach be careful because you’ll need to specify the exactly what you require. The risk is if your current boiler is not up to specification then you could miss the opportunity to improve your heating system. In addition, it may be hard to find a boiler replacement engineer who knows that boiler system; they may even increase their fees for an install only job. If you replace your boiler direct from a supplier you must not install it yourself. You will require a Gas Safe registered engineer to install your new boiler otherwise it will invalidate your warranty. Not to mention that it’s illegal to fit your own boiler because of the dangers involved. Try using our find an installer tool, it makes finding a Gas Safe registered engineer quick and easy. Always pay attention to warranties with boilers. Replacement boilers are not cheap. So if there’s an opportunity to purchase an extended warranty, we recommend it. If you hire in a Gas Safe engineer who works alongside a manufacturer it’s possible that you may get an extended warranty. When looking at warranties, it’s worth checking all the small print. Some manufacturers offer comprehensive cover and others can be vague. If in doubt email and make an enquiry about areas that you find confusing, it may save you a lot of money in the future.